The family of a couple who died in a collision on the M6 have paid tribute to the "kindest, sweetest couple anybody could come across". David and Patricia Howard, from Lancaster, were involved in a multi-vehicle crash near Preston Sunday on November 11. Patricia, 58, died at the scene of the crash and her husband David, 57, died shortly afterwards in Royal Preston Hospital. In a family tribute, the couple's three children said: “My mum and dad where two of the kindest, sweetest and most loving people anybody could have come across. "They loved life, their friends and their family and even in the hardest of times they always stuck together. "They were taken far too soon from this world and from us. They were the heart and soul of the family and were always there for myself, Donna and Michael, and lived for all their grandkids. "As a family we want to thank you for all you did for us, thank you for always being there and thank you for just being you. "We hope we will continue to make you both proud, we love you always and forever, until we meet again." Around 9.55pm on Sunday November 11, an Audi A4 car travelling northbound on the M6 collided with a Vauxhall Vectra car. The Vauxhall then collided with a Volkswagen Transporter, which in turn collided with a Citroen CX Athena. The occupants of the Audi made off from the scene and were later arrested by police in connection with the incident. 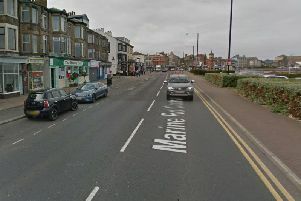 The driver of the Volkswagen, a 47-year-old man from Ulverston, and the driver of the Citroen, a 70-year-old man from Galgate, were not injured. Patrica Howard, who was driving the Vauxhall, was killed immediately. Her husband David suffered catastrophic injuries and was taken to hospital where he died a short time later.